The last few weeks have been… Interesting. I am a Midwestern guy, and I grew up in a house where achievements were not flaunted. For example while I knew that my father was a wrestler in college I did not learn until recently that he was the youngest All-American wrestler in UW-LaCrosse’s history and came in third in the nation. 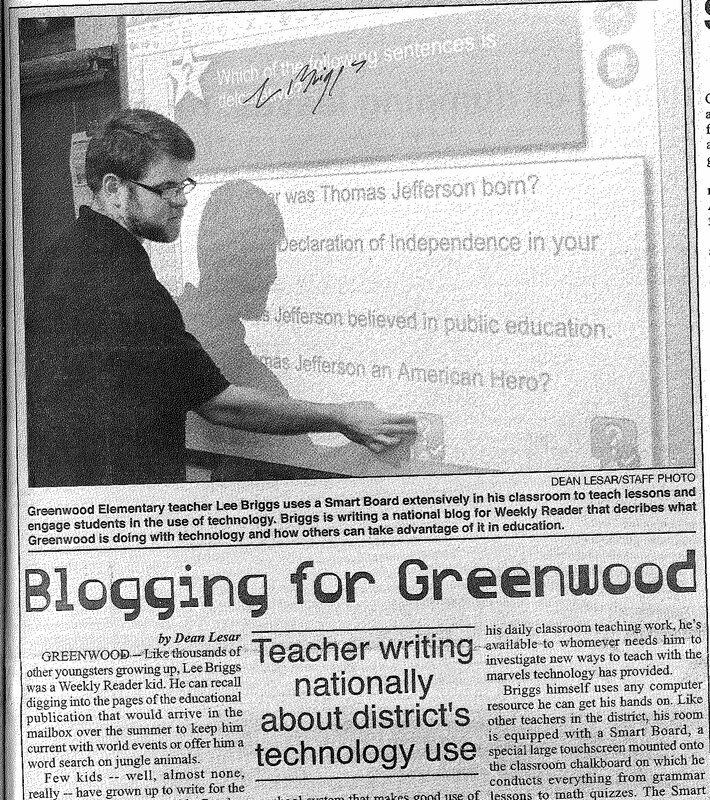 To me, sharing what I do in the school; talking about things like Moodle and SMARTboards, comes naturally, it’s nothing special. So when I get my name in the local paper, and interviewed by the local TV station, I am mortified to the point of being the walking dead. I have to remind myself that this attention is not about writing for Weekly Reader, that there is nothing special about what I am writing. This attention is due to a great opportunity given to me by Weekly Reader, being able to work with supportive administration, being surrounded by teachers unafraid of new ideas, and, most importantly, working with a community that entrusts me with the education of their children. As featured in the Tribune Record-Gleaner, Loyal, Wisc. I could not be happier that this district is receiving such attention, but what I do is not special. I am amazed every time I go to workshops to be surrounded by teachers who are among the most dedicated and energized professionals I have ever worked with; they are the special ones.